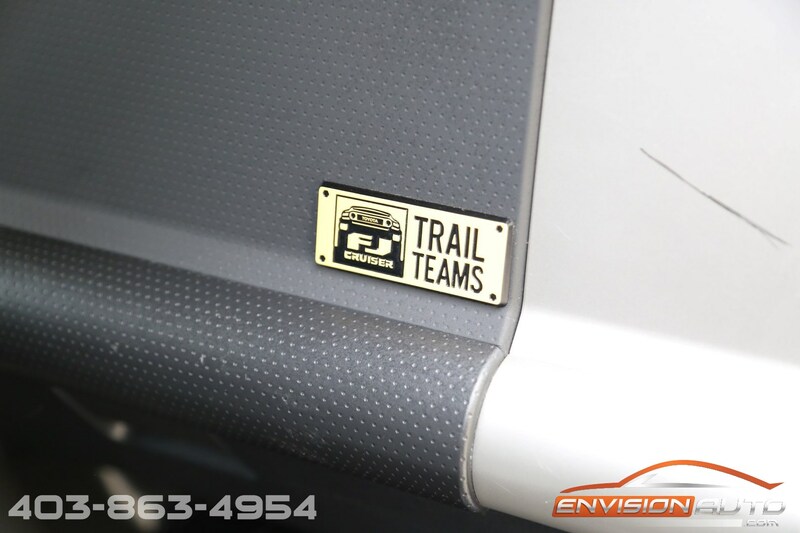 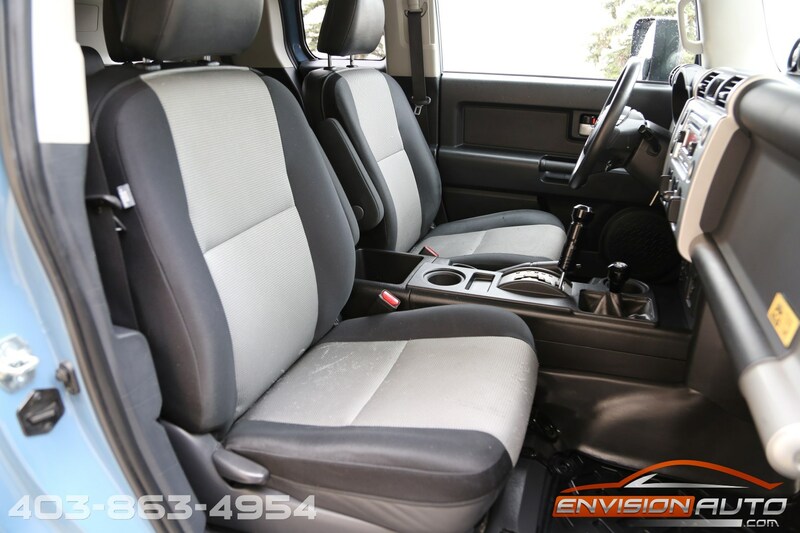 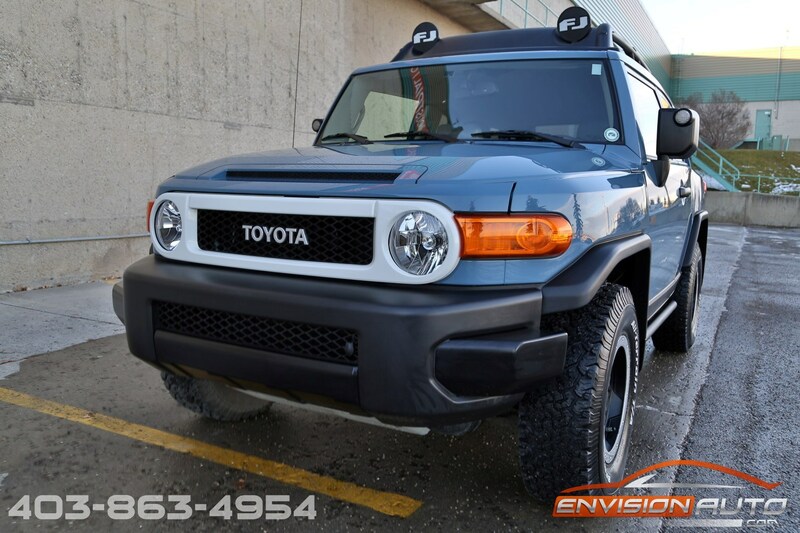 More Details : – ONE LOCAL CALGARY OWNER \ TRAIL TEAMS ULTIMATE EDITION \ SPOTLESS CARFAX HISTORY REPORT \ ONLY 78,000 KILOMETERS! 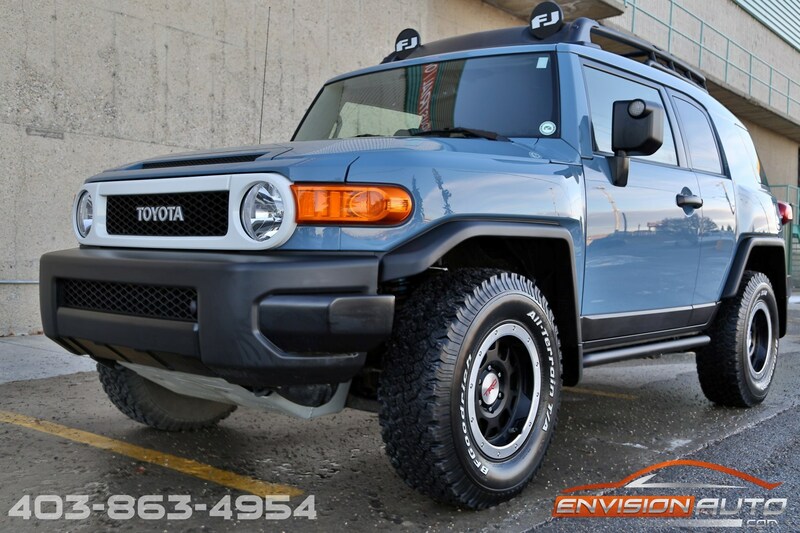 Final Year Produced ULTIMATE EDITION – One of 2500 Produced – Only 78,000 Single Owner Kilometers – 100% Spotless CarFax History Report – No Previous Accident History! 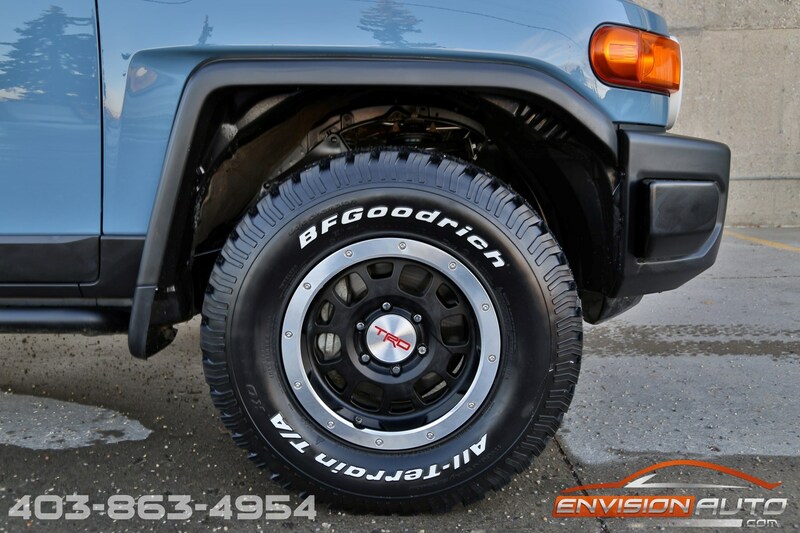 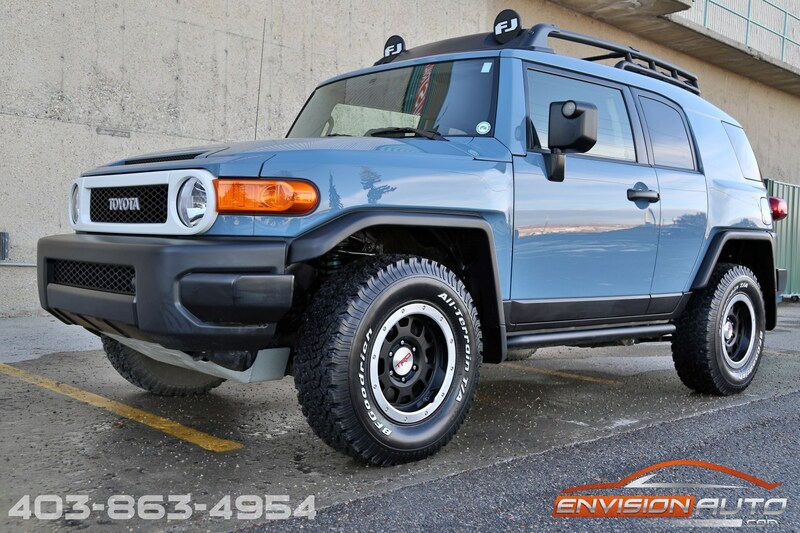 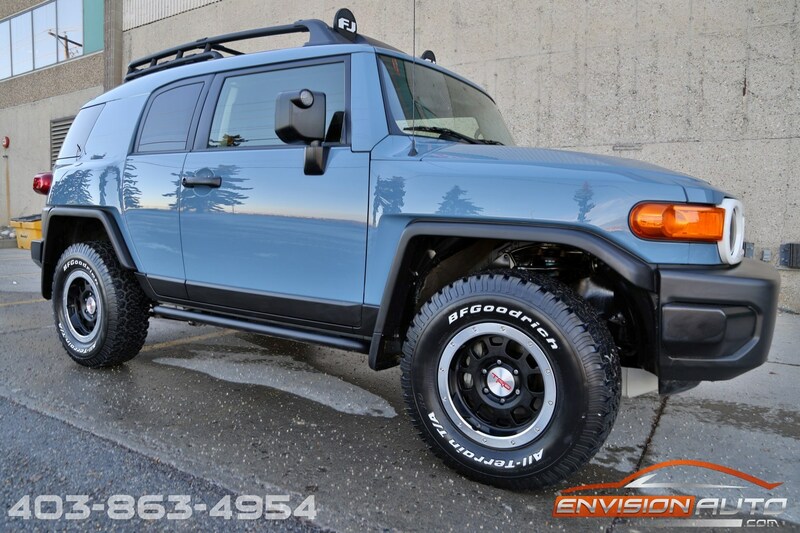 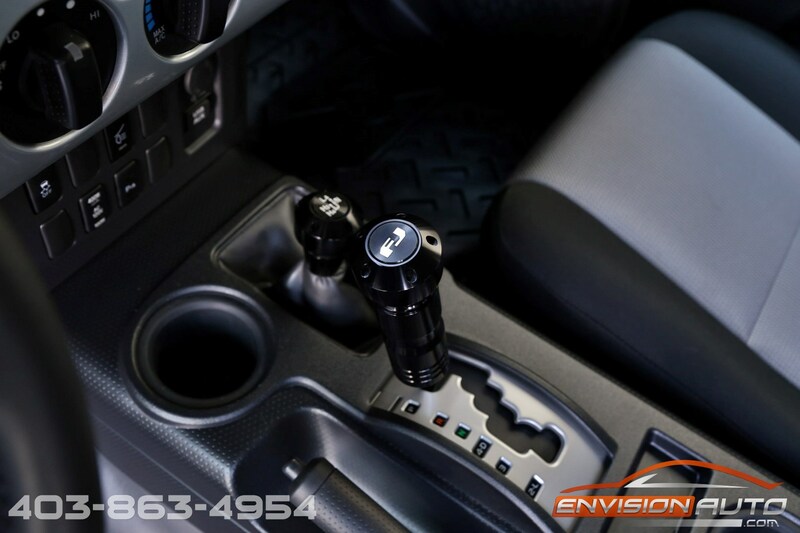 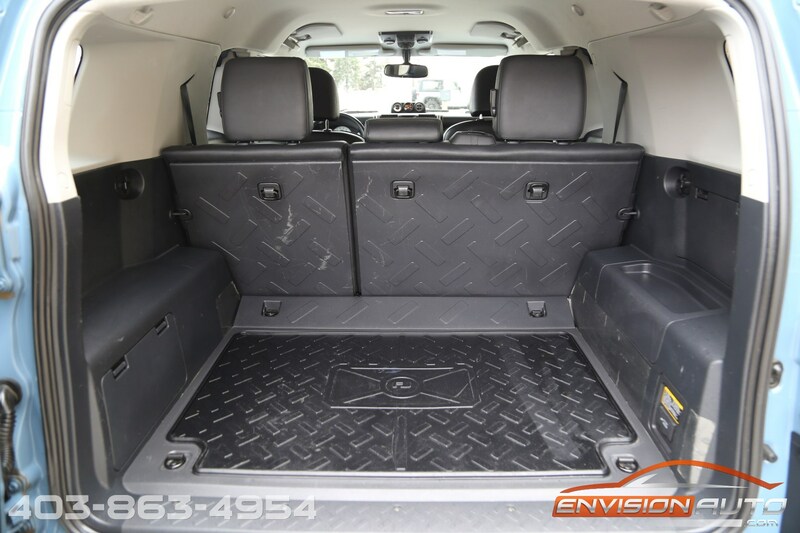 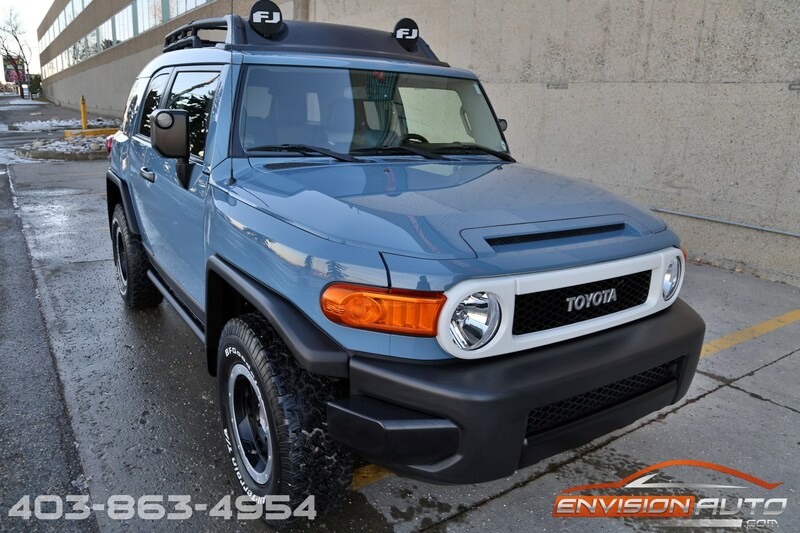 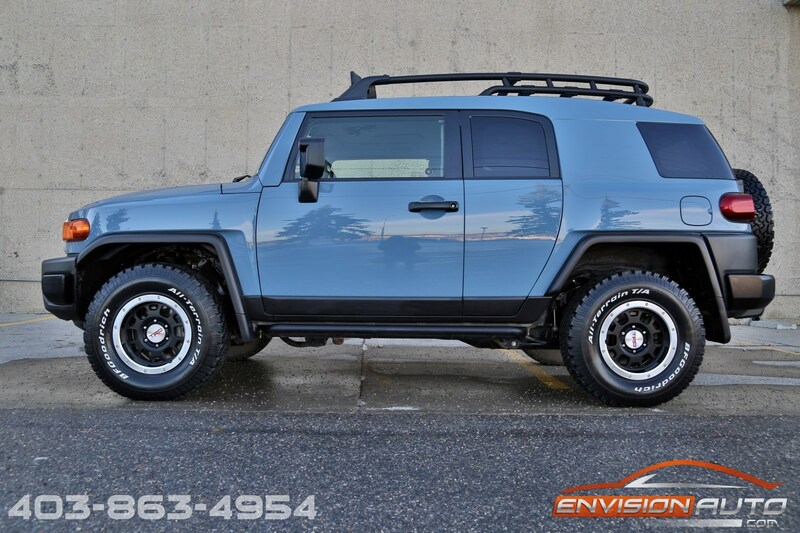 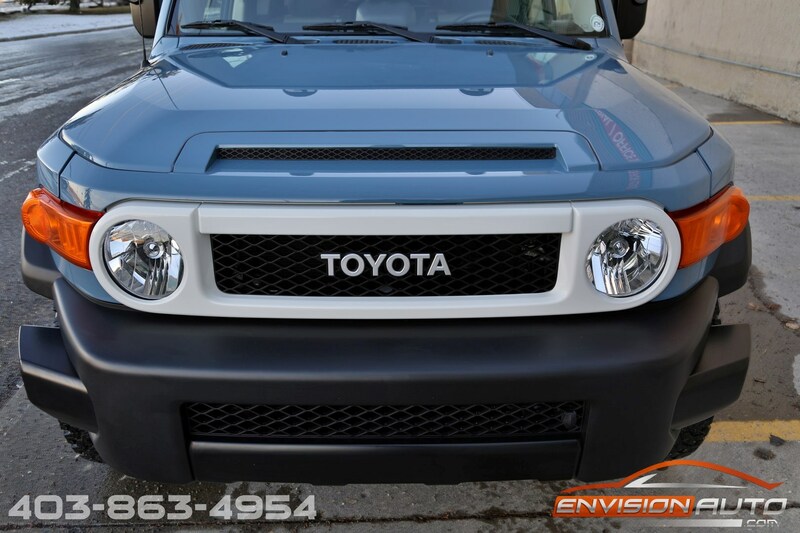 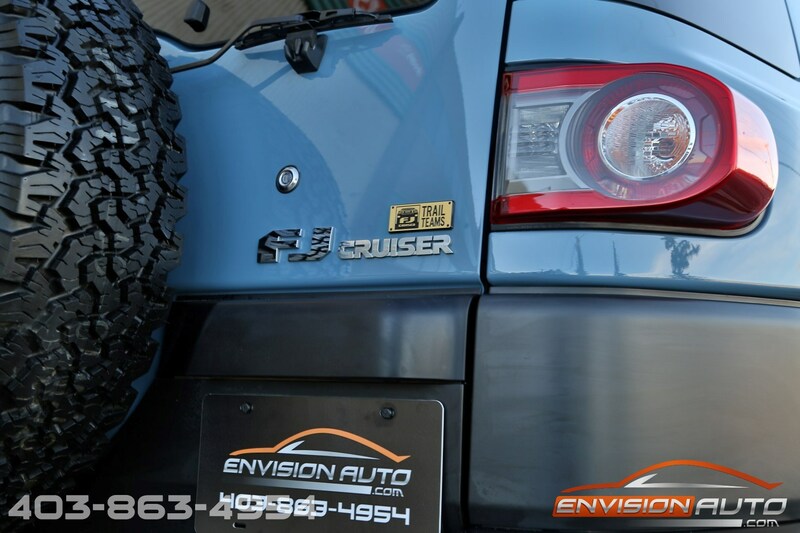 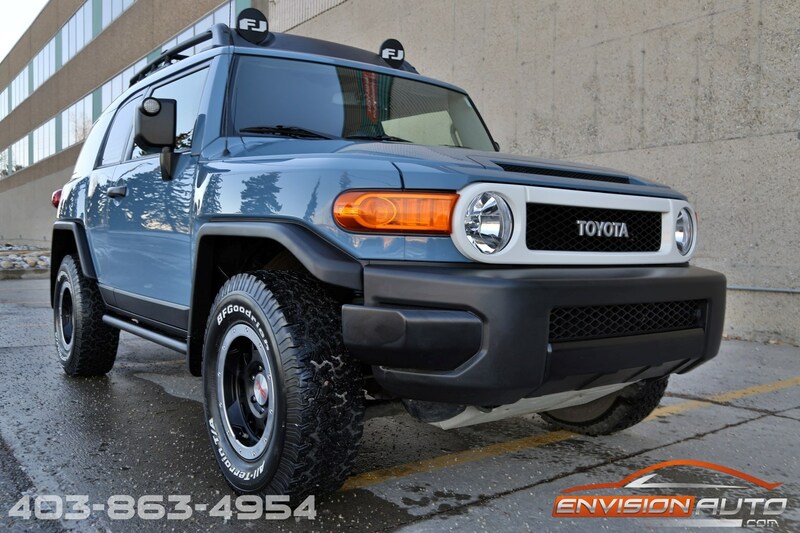 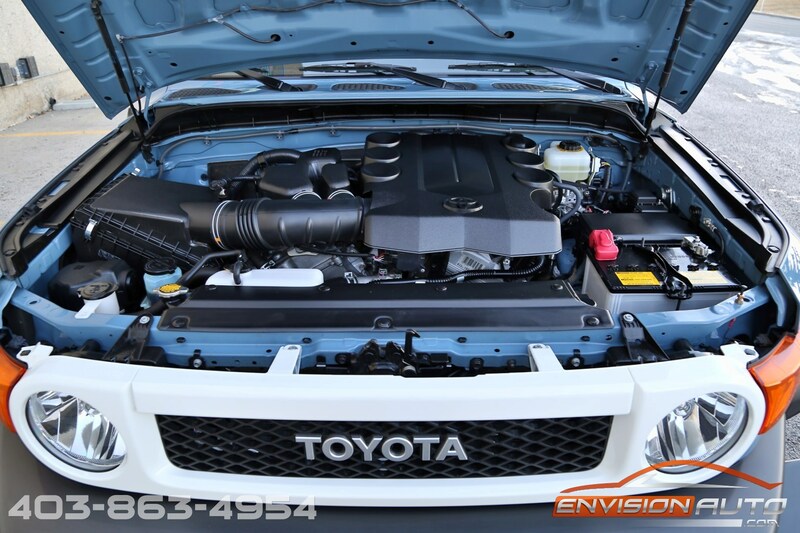 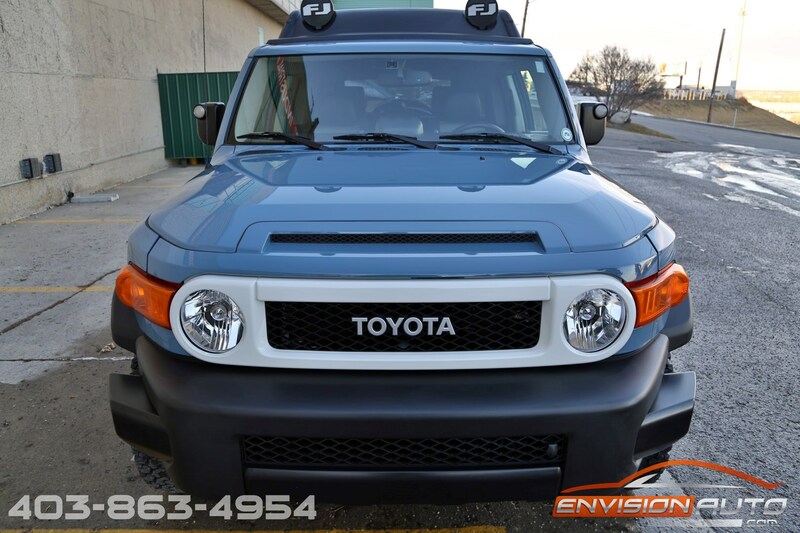 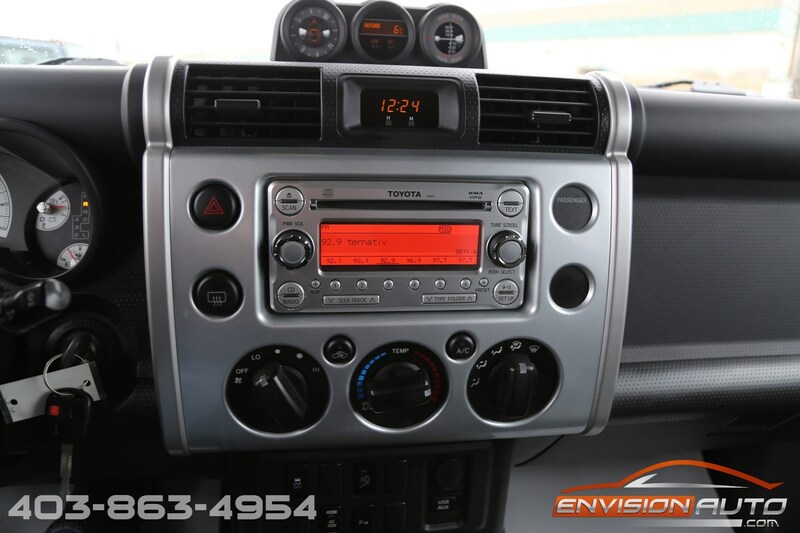 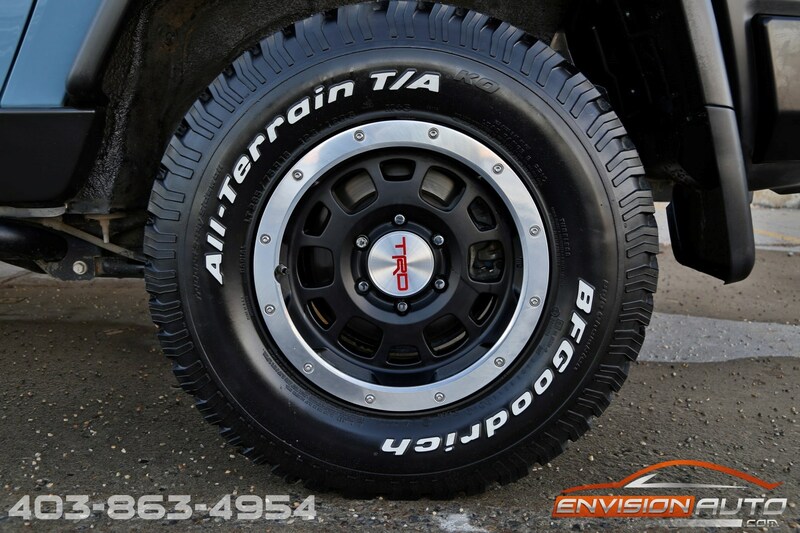 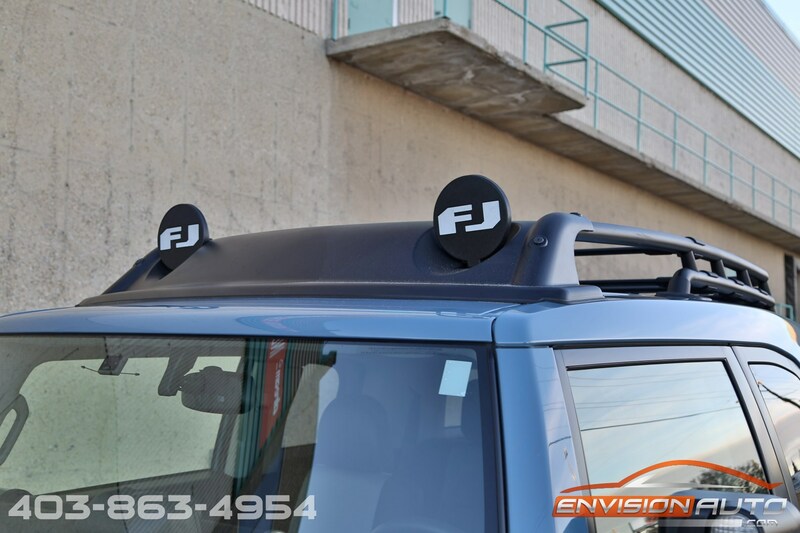 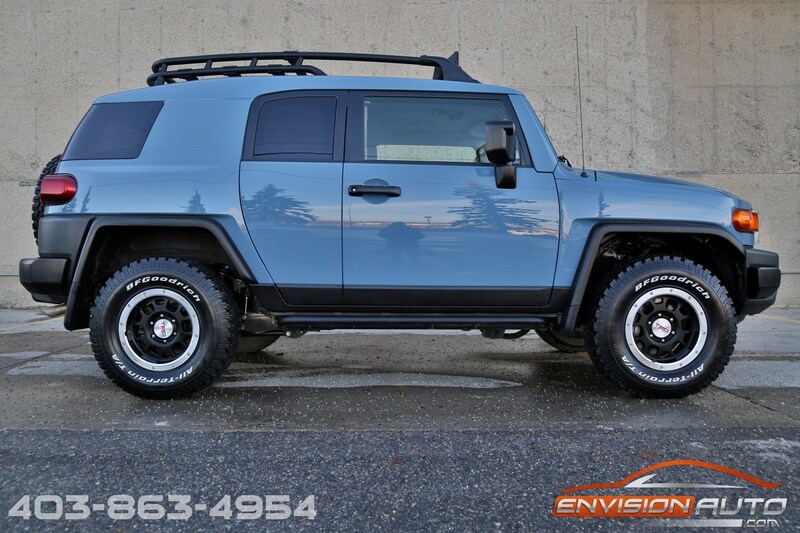 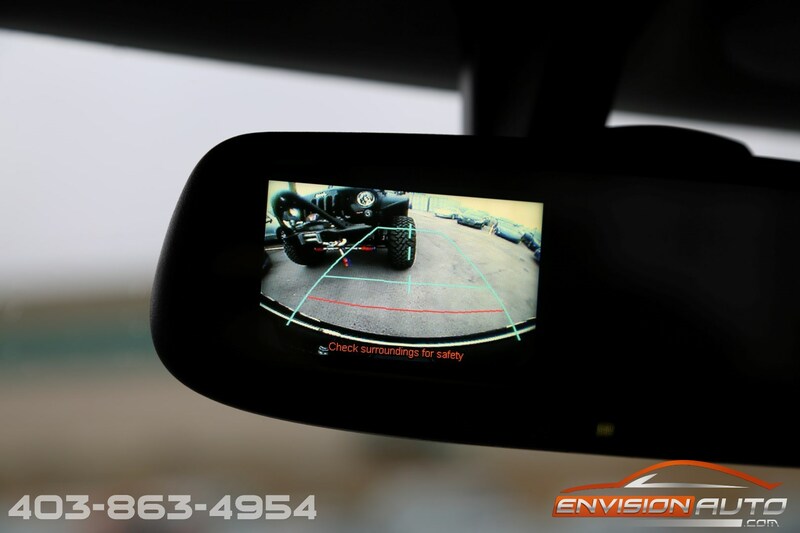 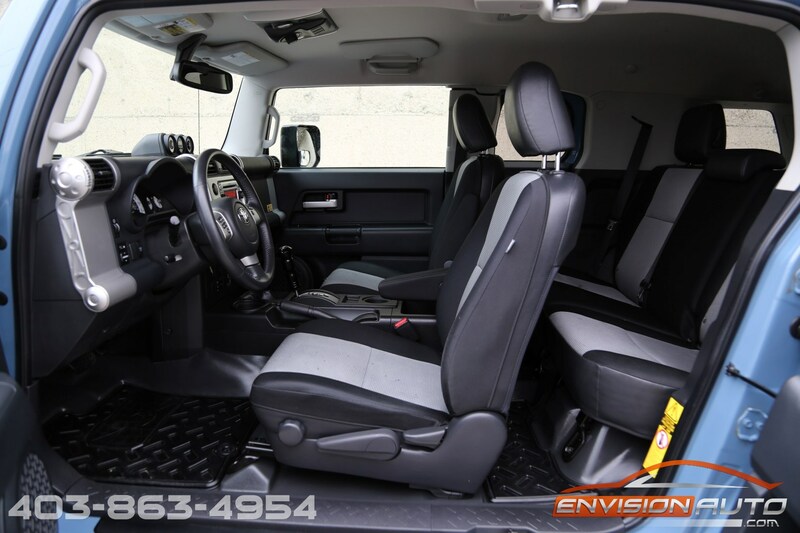 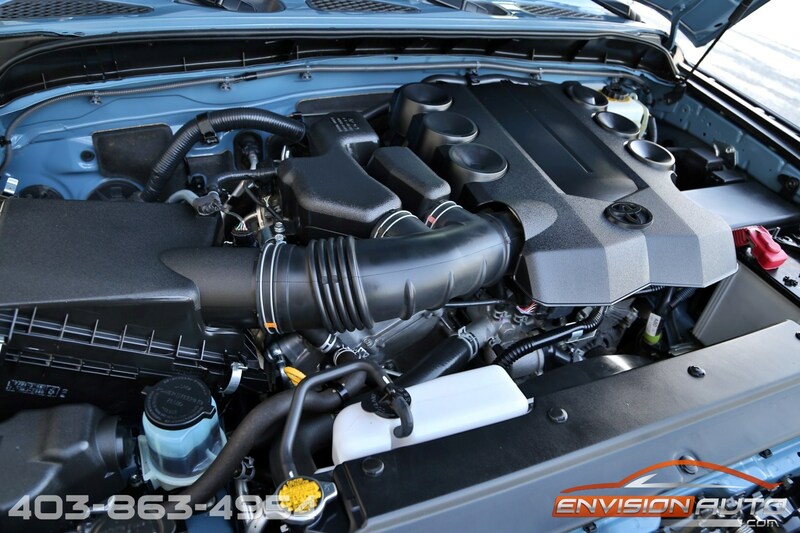 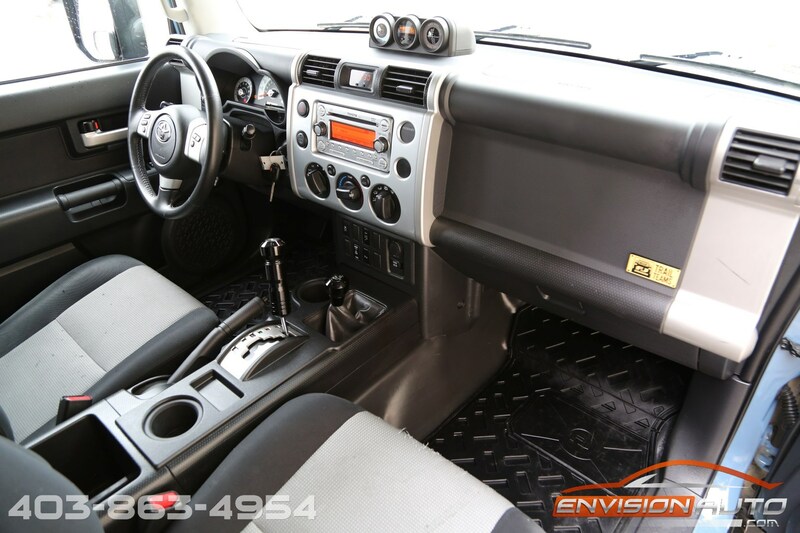 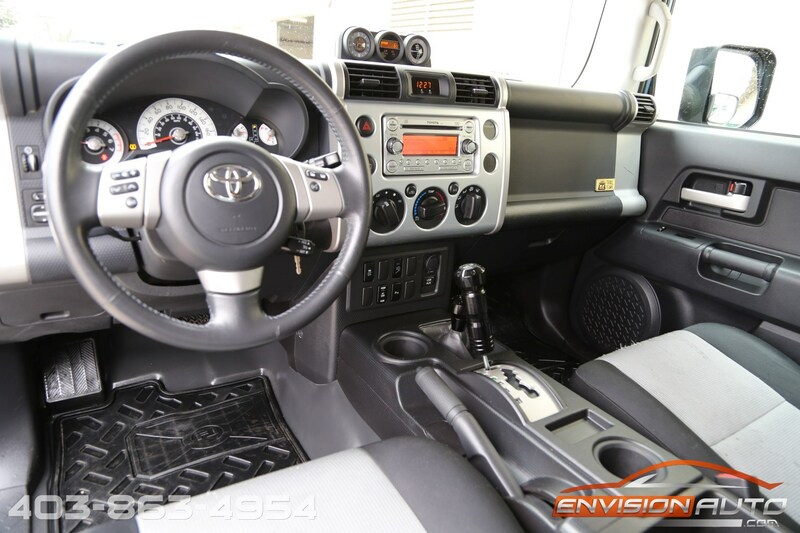 This final year 2014 Toyota FJ Cruiser Trail Teams Ultimate Edition, finished in Heritage Blue paint along with black accents and a white grille comes loaded up from the factory and is stock and unaltered from factory. 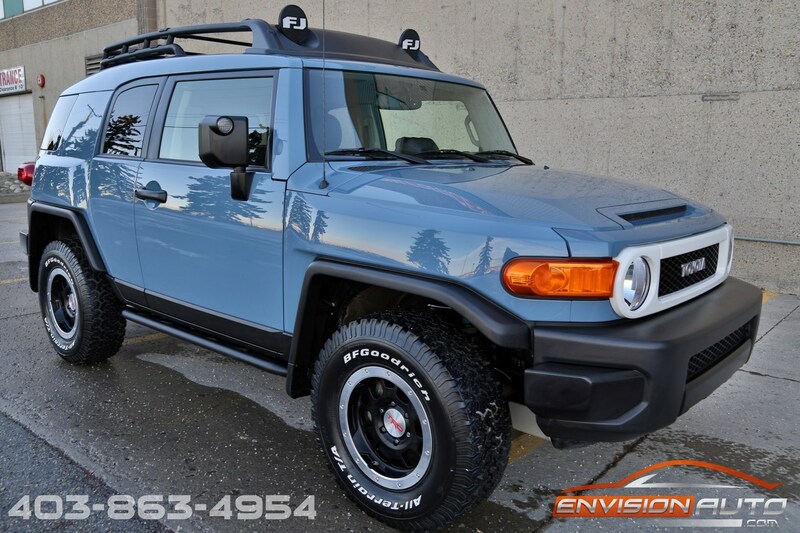 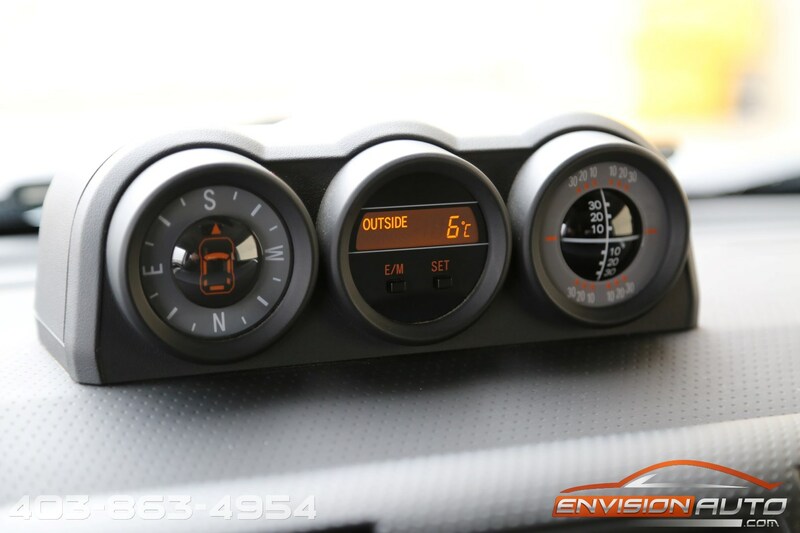 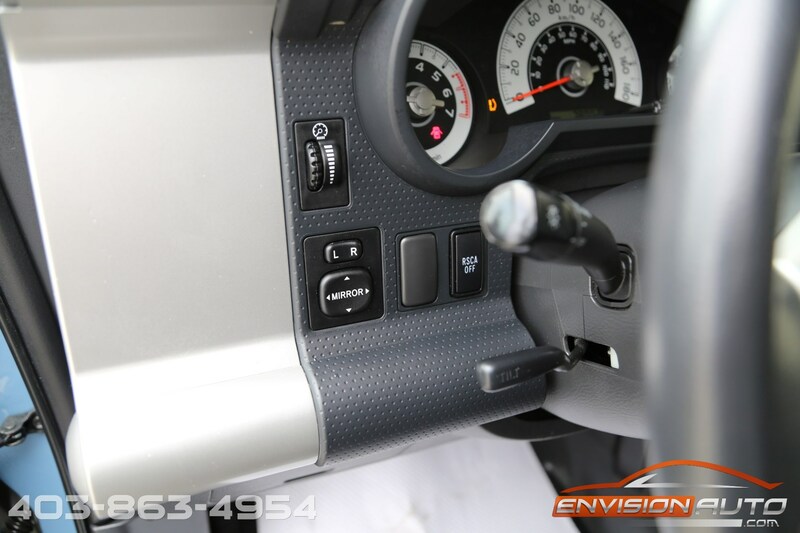 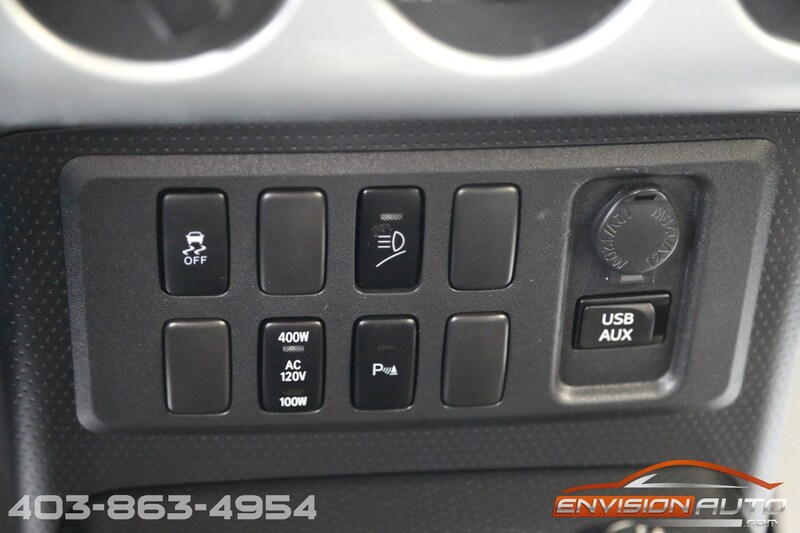 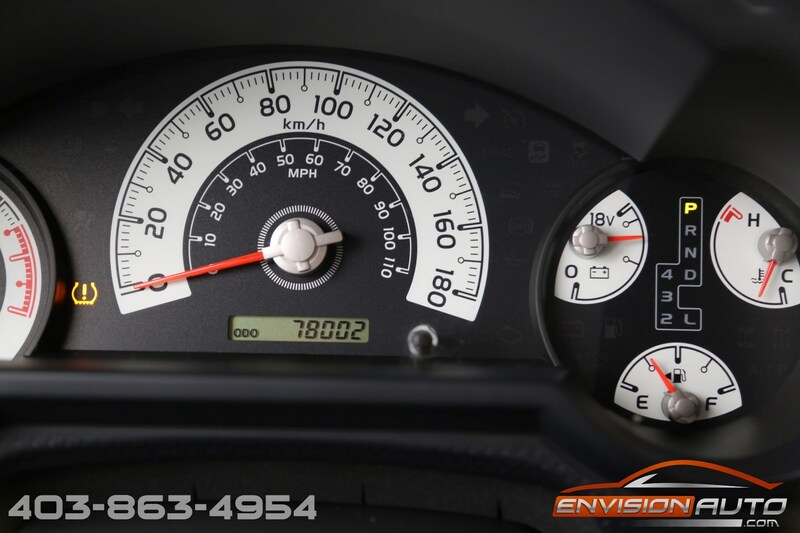 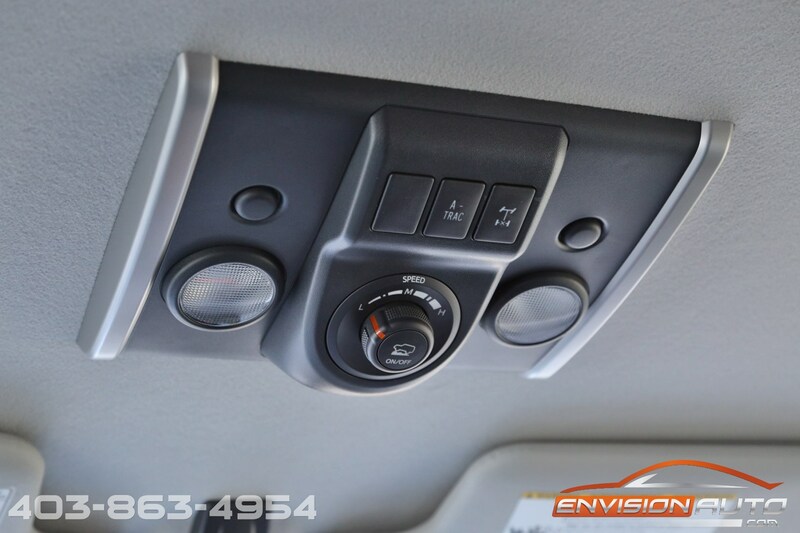 We have just passed the FJ Cruiser through a comprehensive 200 point Mechanical Fitness Assessment Inspection and there were no noted concerns on the safety inspection report.